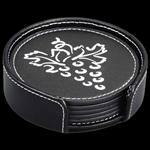 Elegant set of 6 stainless steel and leatherette coasters. Packaged in a beautiful gift box. Comes with a single color imprint on each coaster. A great promotional coaster set! 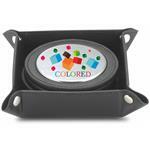 Available Colors: Black with Stainless Steel. 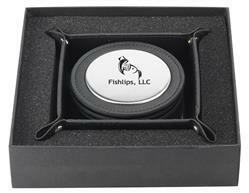 Available Imprint Options: Price includes single color imprint on each coaster. 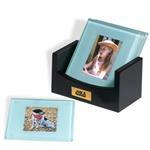 Stainless Steel, leatherette, gift boxed coaster set, single color imprint.